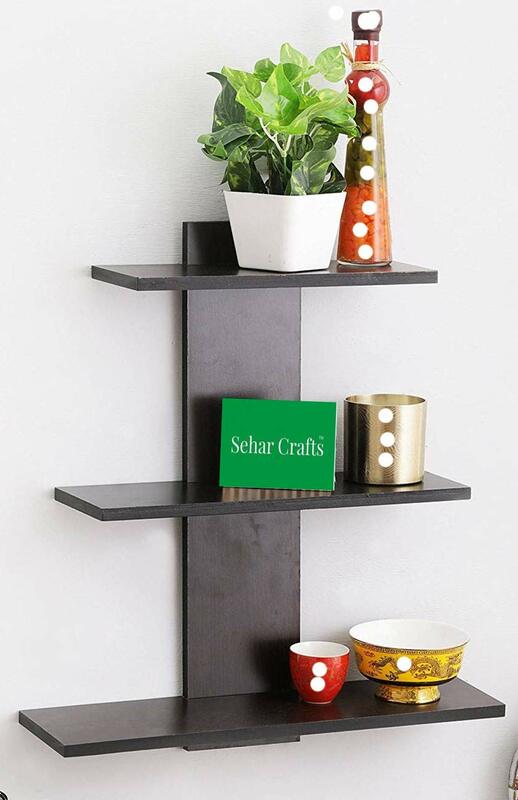 Multifunctional wall shelves from Sehar Crafts can be used as display shelves in living/dining/offices, utility rack in kitchen or as bookshelf. 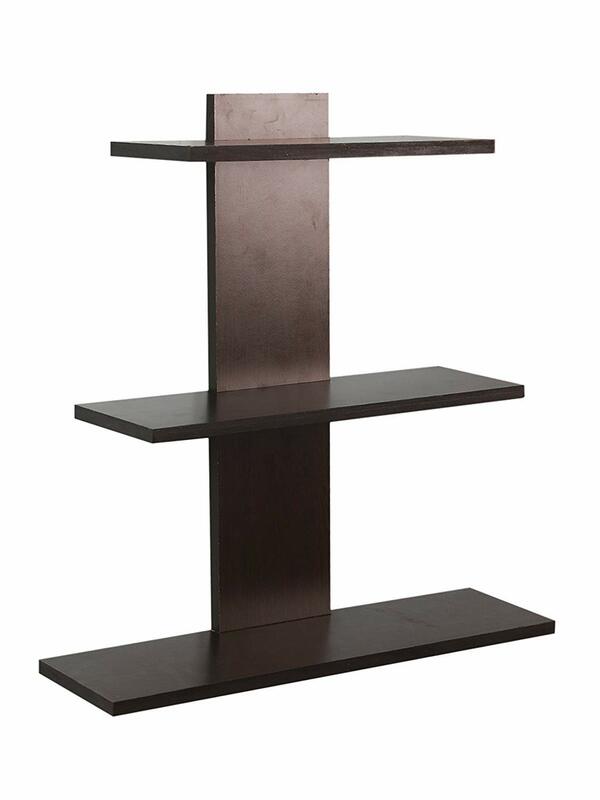 Its classy design can make any spot pop and can be an efficient piece to showcase display-worthy pieces. 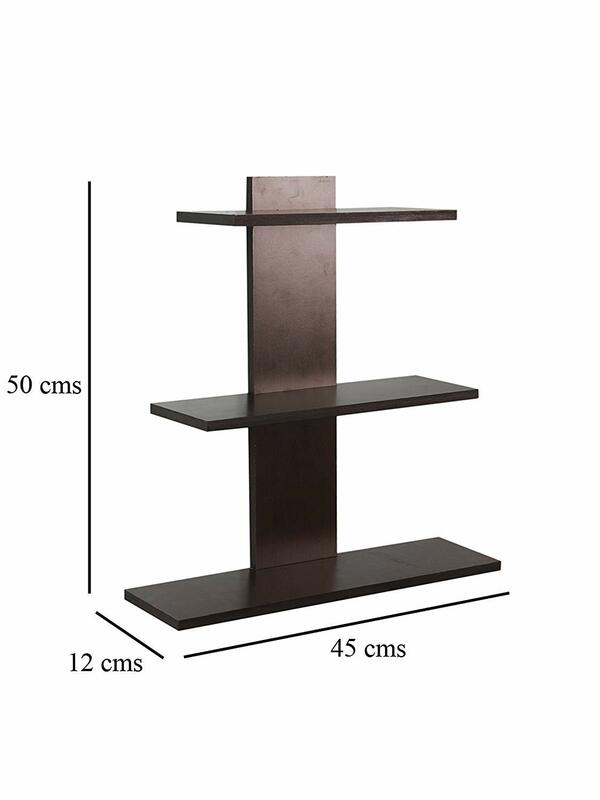 Ideal for showcasing photos and objects, these beautifully crafted floating shelves would be a lovely addition to any wall. It has a unique U-shape and allows for versatile utilization and can be configured in different ways. 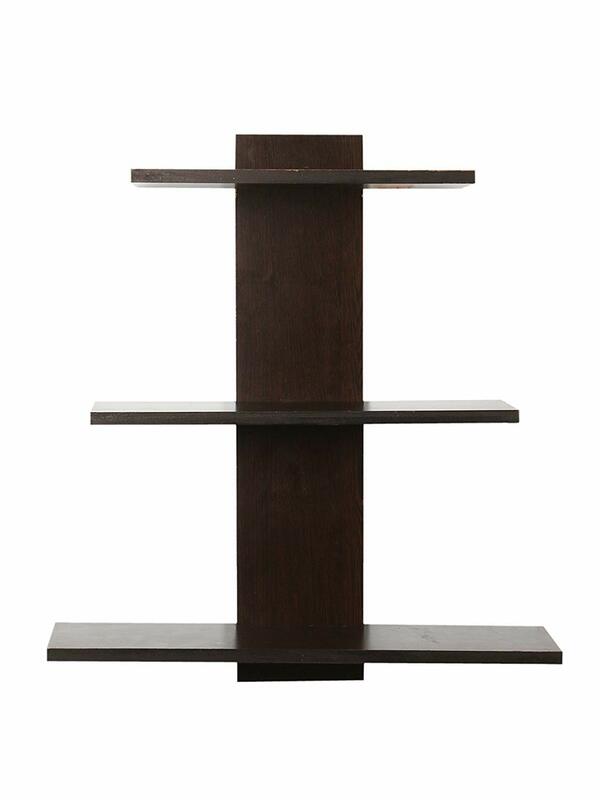 Made of engineered wood in wenge color. Clean using a damp cloth and wipe dry. Do not scratch the surface with sharp objects. This is Pure Hard MDF board 17mm.